Understanding how disturbances influence interaction networks is a central but still poorly explored issue in ecology and management. The goal of this study was to test how the structure of plant–pollinator networks and the structuring processes are influenced by grazing in a subtropical grassland community on the southern hemisphere. Twelve sampling plots were allocated in order to cover a grazing gradient ranging from overgrazed to ungrazed sites. 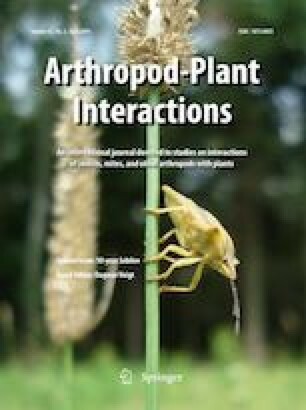 For each plot, we created a quantitative matrix containing all observed pairwise insect–plant interactions and described morphology, phenology and abundances of each species. We fitted a series of models to test the influence of grazing intensity on metrics describing networks structure. We finally used probabilistic matrices, maximum likelihood and model selection to investigate the processes influencing frequencies of interactions across the gradient of disturbance. Grazing intensity influenced connectance, specialization and interaction evenness, while the number of species and links, nestedness and modularity were less variable. Species abundance was the most important determinant of interaction frequencies regardless of grazing intensity. In contrast to northern hemisphere pollination networks studied so far, these subtropical plant–pollinator networks and their structuring processes were remarkably consistent along the grazing gradient. We argue that this results from the dominance of generalist Asteraceae species, which are selectively avoided by cattle and play a core role in attracting a wide range of pollinators and thereby structuring plant–pollinator interactions, providing therefore stability. The online version of this article ( https://doi.org/10.1007/s11829-019-09699-8) contains supplementary material, which is available to authorized users. We thank G. Minervini for field work support, M. Pinheiro (bees), B.R. Garcete-Barret (wasps), J. Duarte (flies), M. Morales (flies-Syrphidae), M.S. Pires (ants), N. Mega (butterflies) and D. Lucas (plants) for their help with species identification and three anonymous reviewers for their valuable comments. We also thank Stephen Tyndel for valuable suggestions on the manuscript and linguistic edits. This work was supported by Conselho Nacional de Desenvolvimento Científico e Tecnológico (CNPq) funding [grant number 403750/2012-1], [grant number 477618/2013-8] and in part by the Coordenação de Aperfeiçoamento de Pessoal de Nível Superior - Brasil (CAPES) - Finance Code 001. SSO received a Master scholarship from CNPq and GEO a CNPq Grant [310022/2015-0]. JVB thank to U.S. Army Corps of Engineers and the CERL-ERDC (Construction Engineering Research Lab of the Engineer Research & Development Center) for financial support. Cruz CEF, Karam FC, Dalto AC, Pavarini SP, Bandarra PM, Driemeier D (2010) Fireweed (Senecio madagascariensis) poisoning in cattle. Pesquisa Veterinária Brasileira https://doi.org/10.1590/s0100-736x2010000100002.